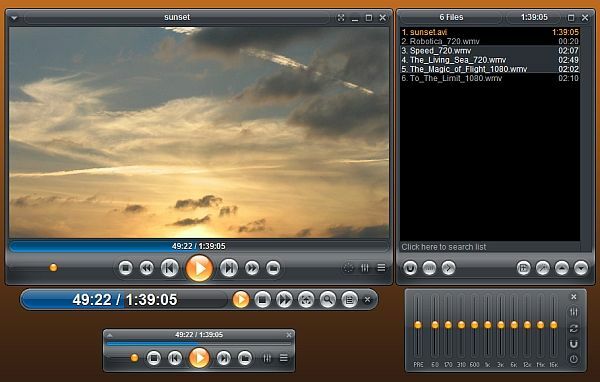 Zoom Player is a robust media and DVD front-end player. It was designed to be simple at first glance while being remarkably dynamic and flexible when used to its full potential. It works in two modes: a Media mode which can play any file supported by DirectShow (any file which plays in MediaPlayer) and a DVD mode which uses pre-installed DirectShow DVD filters to play DVD content. It supersedes media player in all it's functions and provides several important functions that media player lacks. It provides special zooming functions to improve TV-output quality by eliminating overscan.